Formaldehyde: Cat Food or Embalming Fluid? This posting is going to be a little different from most, for me. On another posting, I had put forth the health issues of my cats and what was involved in their sickness as something of a mixed “heads up” and “plea for more ideas”. Well, it worked. The end of that “public kitchen science exploration” was a fairly good working thesis that what is causing the “problem” is NPN (or Non Protein Nitrogen) in the form of urea-formaldehyde (or just formaldehyde; or both) in approved feed for ruminants (in places like France) and aquacultured fish (in places like Asia, but imported as a contaminant in ‘byproducts’ and similar processed additives labeled ‘fish’ into the USA). This ‘feed’ is in the gut of the animal being farmed when it is slaughtered. Those “guts” end up in the “byproducts” as does the Formaldehyde or Urea-Formaldehyde from their approved feed. This is not good for some cats. Those byproducts then go into the food cans that you buy and feed to your cat. Some cats, mine among them, react rather a lot to formaldehyde in the food (assuming my thesis is valid and we can show that formaldehyde does end up in the food cans and bags). The breakthrough moment came when a gentleman in France said his cat had similar symptoms, but not on the “fish” that made mine sick; rather on ruminant based feeds like beef. In France, formaldehyde can be put in ruminant feed, but not in aquaculture fish feed. In Asia it can be used as a “binder” in fish feed pellets. (That ends in up in Pacific coast USA cat foods). That symmetry is rather exquisite. So, what is the nature of this posting? Two things. An open letter to pet food manufacturers and advice to pet owners from someone dealing with the issue right now along with a request for communal action to show that it really is formaldehyde in the food cans and probably in the dry foods as well. Please test your ingredients for the presence of Formaldehyde or Urea-Formaldehyde contamination. In good faith, you have bought “byproducts” that I’m sure you believed to be “clean” and “pure”, but they are not. You may be completely unaware of it, but urea-formaldehyde is approved in many countries as a “Non Protein Nitrogen or NPN” feed additive. In France, it can be added to ruminant feed. In many places is Asia, it can be used as a ‘binder’ in fish feed pellets. The problem, I believe, is that such feed is still in the digestive system of those farmed animals when they are slaughtered. The feed and the internal organs of the animal all end up in the “by product” bin. That then ends up in your ingredients, and thus, in your cat or dog food. And some animals are fairly sensitive to formaldehyde, even to the point of dying. My cat is one of them. She was very close to dying when I figured this out. Formaldehyde simply does not work well for many animals as a food. It is, after all, used in embalming fluids and laboratory preservatives and has been indicated as part of “sick building syndrome”; probably not what you want associated with your product. I would suggest that you test your ingredients for the presence of these contaminants and inform your suppliers that they are unwelcome. Further, NPN such as urea-formaldehyde, tests as “protein” in the standard “crude protein test”. This gives an incentive to your suppliers to send you bad ingredients. There is a ‘true protein test’ that looks only for peptide bonds and will tell you the actual protein content in your suppliers ingredients. Please use the “true protein test” on your suppliers ingredients and only pay for the real protein you are buying, not for plastics resins and fertilizer chemicals. This will help you to discourage such contamination, since it removes the incentive to included NPN in the “byproducts” or to feed the fish or ruminants just prior to slaughter to increase mass and “protein” content on the present tests. It also ought to reduce your costs, since you will not be paying “protein prices” for nitrogen fertilizers or embalming chemicals. I have reserved several cans of product from several vendors that cause my cat to become ill. When it is possible to do a controlled test, I will have these tested for formaldehyde and related materials. No, I don’t intend to sue anyone. I believe that you, in good faith, bought ingredients that you did not know contained these contaminants. However, at this point you have been given notice. In 6 months I will be collecting additional samples for testing. What happens then will depend on the results of those tests. So please, take this opportunity to test your ingredients for unwanted contents of “ruminant feed” or “fish feed” that are not approved for the species that will be eating your foods. And take appropriate action. First off, you can make a similar letter and send it to your pet food supplier. Customize it for your particular circumstances. Feel free to cite my experience if your cat is showing no symptoms, but make it clear that you care about your pet and what they are eating and that formaldehyde is not considered a good ingredient, even if a contaminant. Second, if you have a sick cat, please post what foods cause the issue for your cat and where you are. Geography matters, since each country has different rules and different sources for materials. We can, together, create a map of what is good where, and what is not. And Third: Read labels even on the cat or dog food. Both the front and the back. Finally, if you have a cat that is “having issues” as described here, try feeding them a food that does not contain the likely suspect “by products” for your location. Find out what food makes your cat most healthy, and let us know. For my cats, it looks like raw fish, raw chicken, and the non-fish canned foods. For France, it looks like the “fish” is ok, but the ruminant foods are contaminated. It may take few tries, but we can identify what works. My cat has ‘sneezy drippy’ episodes in about 24 hours after eating “bad” or “suspect” foods. If fed these foods for more than a day, she begins to have digestive system issues that can include ‘runs’ and ‘constipation’ along with occasional “hurking” (a non-vomiting attempt to expel stomach contents) or vomiting. Eventually (a few days) she gets sunken drippy eyes, weight loss, appetite loss, lethargy and approaches death. When fed ‘good foods’, she has doubled her weight back to near normal, has bright eyes and little digestive issues, eats a great deal more, and has much more energy. Her stool is more normal and regular as well. The reaction is “dose dependent” and if fed a broad mix of foods she can have the odd “off day” that seems to make no sense until you start monitoring the feeding history. For me, on the west coast of the USA, the major suspect ingredient is “fish”. This is sometimes on the label as just “fish” ( the “9 Lives” Chicken contains “fish” as a minor ingredient and after about a week on this food as the only food my cat becomes mildly ill and starts sneezing again). Some foods, like “Friskies Ocean Whitefish and Tuna” have much more and she becomes ill much faster. I recently bought 3 cans of “Natural Value” cat food that did not have “fish” on the front; they were things like “Beef” and “Chicken”. These caused my cat to become ill in 2 to 3 days. On reading the back of the label, it lists “Fish Protein Concentrate” . You can not depend on the front of the label to tell you what is in the can. The cats ( I have 2 ) recognize the good vs the bad food. I don’t know if this is by smell, or just remembering what made them sick. In either case, let your pet tell you what foods they want, and what foods are unwelcome. 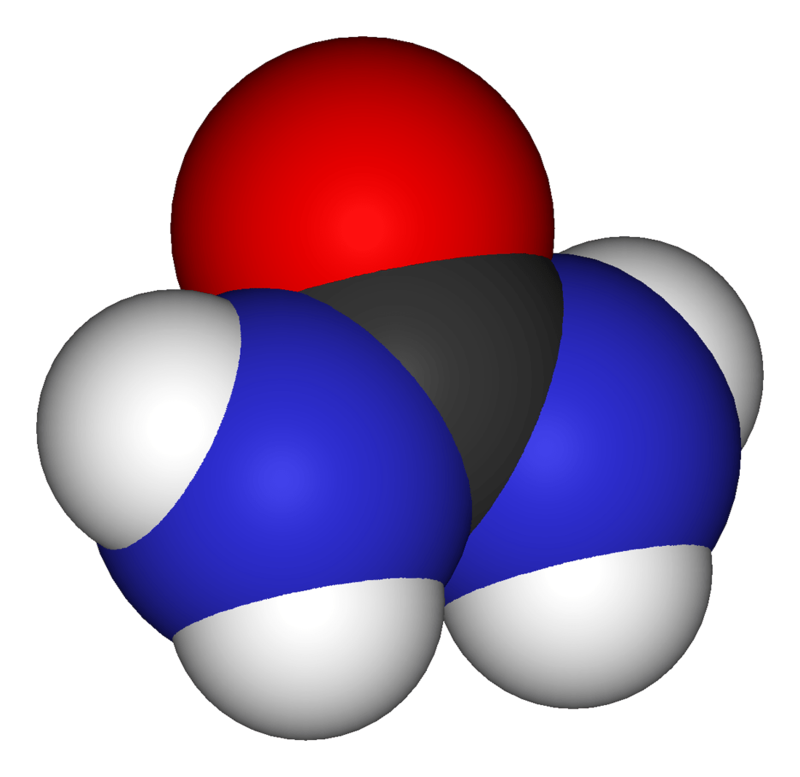 As mentioned above, in France the formaldehyde can be in ruminant (i.e. beef and lamb) byproducts while in Asia it will be in fish byproducts. My cats do very well on raw fish and chicken (as much as it distresses me to feed it to them. I would really rather give them commercial canned food). They relish this “sashimi”. I will be giving them more of it. I’m also looking for “home made” cat food recipes, so if you have any, lets share. In all cases, if your cat is not doing well, try changing their food. In particular, try giving them some more natural and non-processed foods (and don’t just see the word “Natural” on the label and trust it like I did…) Feeding my cats some “people food” of fish and chicken was part of how I figured out that the cat food was the issue. I will be looking into formaldehyde test kits, but so far they are several hundred dollars and aimed at testing air quality. It will take me a few months to get to an answer. Someone who does this kind of work (chemical testing) for a living could have an answer in days and make thousands of cats lives better… So maybe, just maybe, this is your chance to be a hero. “Hero Chemistry Geek” has a certain charm to it, yes? This entry was posted in Human Interest and tagged animals, Human Interest. Bookmark the permalink. Looks like you’ve nailed it. Are the false and true protein test kits prohibitively expensive? Unfortunately as well, at least in California, “doing chemistry” as an individual is slowly being criminalized. There is a list of chemicals that “might be used in drugs or explosives” that now get you onto an FBI report or are simply not available to the public at all. And these are not exotic chemicals. 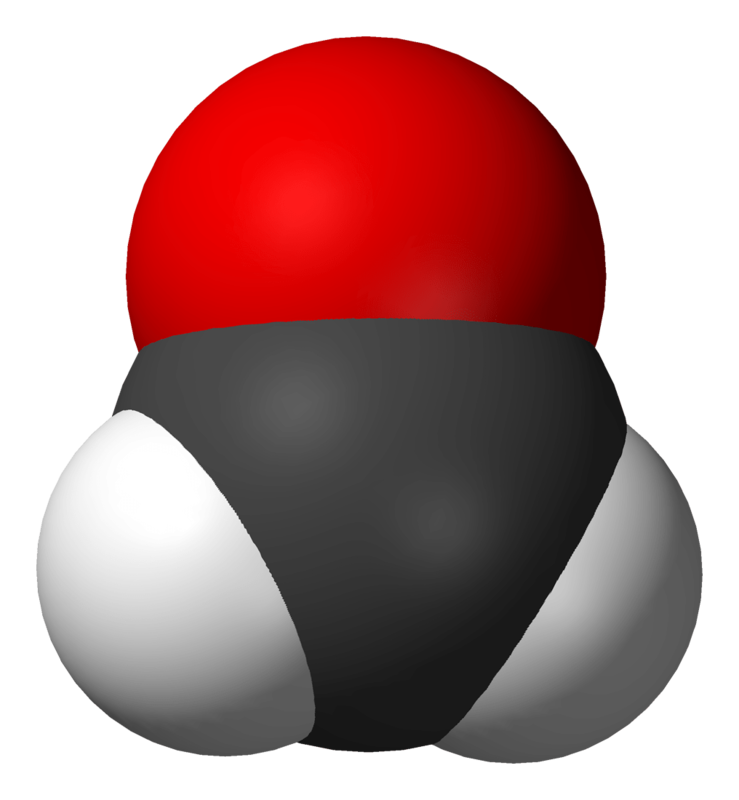 One was freon, as used in car air conditioners. Heck, even buying glassware in some cases raises a red flag (I don’t remember exactly what it was, but the “guy behind the counter” told me a couple of years back. I think it was both a quantity threshold and a type, like distillation gear). As a consequence, some of the old “science shop” stores have closed. I can’t remember the last time I saw a “chemistry set” for sale (I had one at about 8 years old… and loved it). I used to buy lye at the grocery store to make my own soap (just for the fun of it). It is now gone. So I have no idea what the cost, and more importantly, the availability will be. These may, for some inexplicable reason, be on the “letterhead only” list that can only be sold to companies. I’ll find out as I pursue it. Frankly, this was part of the reason for the “public appeal” here. Someone who lives in a less fascist and paranoid state will have much better access to materials than I have here. And yes, I think I’ve got if figured out. Now comes the hard part: proving it. It isn’t enough to have a valid thesis, it has to be shown correct. Thank Goodness for scientific minds like yours, E.M. Smith, and for your love of life and your cats that enables you to assertively investigate contemporary “global industrial” practices. Too much of it is an abomination (imho). I am catless at present (serious allergies), a personal loss over which I grieve a little every day. Our first flock of cats (4, mostly varieties of Himalayan — sweetness, trust, and gentle mischieviousness) lived close to or past their 20s. The second (4, Abyssinans — curious, inventive, active and loving like a dog) began dying at 13 years of age. The oldest reached 17, still young for a cat. I suspect food, too. (We researched the special nutritional needs of Abys and tried to find the best diet.) I look forward to results of your research and information on the responsiveness of corporations. I couldn’t buy a glass lab condenser – the one with a helical glass tube trapped in a cylindrical glass tube in high school in the ’50s because it could be used to make booze. My memory is that in Illinois, you needed a permit to have one of these things. And then the Gilbert Chemistry set I inherited from my uncle vintage 1929 had potassium nitrate, sulfur, and charcoal. I see the problem as an attempt to control the A types by the B types. I’m working on a two page exposition of this theory with examples. 1) Folks just think “Oh, they were an old cat, must have just gotten sick from old age”. Few folks alive today have had 2 generations of cats all living to “about 20” as a personal baseline for their present cats life span. ( I have, as have you). Were it not for that experience / baseline; I would not have thought “My old cat is too young to be dying”. 2) Food testing labs don’t normally have a lot of 15 to 20 year old cats for testing food. When a test animal is “old” it is retired and replaced with a “normal profile” cat closer to the mean of the target group. Further, if an animal is “sick” it is removed from the testing pool so it won’t “contaminate the results”. This would result in a pool of test animals that will not show the effect of the contaminant. A kind of selection bias. 3) To the extent that it takes a long time for a sensitivity to build up or for kidneys to be degraded, a cat might be fed “good” food in lab feeding trials for a year, then “bad”, then back to “good” as different formulas are tested. This might well result in the animal not showing symptoms for many years, then becoming “sick” with no clear pattern to connect it to the food. This is not idle speculation. A friend was a food biologist for a major pet food company about 30 years ago. He talked about what he did. They would get a batch of “new formula” and feed it for a trial time interval of a few weeks (or months). Quantity eaten and animal health and weight were assessed and statistically reported, then they would move on to the next “new formula”. It is hard to catch a 10 year process in a 10 month observation window. And once the cat “has issues”, like mine has developed, and does become a ‘fast indicator’, it is likely to be classed as a “sick cat” rather than suspecting the feeding over the last decade has injured that cat to the point of sensitivity. At any rate, that is all very speculative. For now, the task at hand is to test the thesis of formalin and identify the “good” and “bad” foods without doing it by accidentally feeding my cat a can of something that makes her sick. Oh, and on the “abomination” of “global industrial practices”: While I’m pretty “robust” about what happens on farms and not very bothered by a lot of the reality of biology, there are some “modern” farming practices that I’m becoming ever more “edgy” about. This issue with the cats has me wondering how much formaldehyde ends up in the farmed fish I’m eating (along with the higher PCB level that is known to be in them). It will not be zero. And the practice of “cycling the nutrients” through pigs on average 3 times to assure that all of it gets digested is, er, um, icky. I don’t really like the idea that the pig is fed pig poo as part of the ration. And England had a rather negative experience with “cannibal cows” and prions (aka Mad Cow). It seems to be all about “pushing just a bit past the limit and hoping not to break things too bad” and very little about “what is the best and healthiest way to do things”. Raw food often has parasites. Worms and liver flukes. They can be very serious. Cook the food. Maybe cook a big batch and then freeze it, so you can thaw it out bit by bit? There are good reasons why food is cooked; Parasites and bacteria in meat and fish. I grew up in a family restaurant. (Literally, I was working at age 7 1/2 doing dishes, cutting up chickens, etc.). I’m very familiar with food preparation and sanitation issues. That is why I’m “edgy” about the “sashimi” approach. It was something of a last resort that worked out very well for me. In general, your advice is correct. But if you are in a race with poisoning and have a cat that can not eat the tougher cooked foods, the sashimi approach can be a life saver. It was for my cat. With that said, the outdoor cat is already eating raw birds. I doubt that commercial FDA inspected chickens can add much risk to the wild birds he already eats. I only resorted to the “chicken and fish sashimi” as a last resort when I was not making progress with finding a canned food that did not make the cats sick (see the prior posting in the link up top for more details on the investigation phase). They both improved markedly on the raw stuff. No, make that dramatically. For the one who was near death, she could not effectively chew cooked meat. I did buy a meat grinder and start trials with ground cooked meats, but those were not as successful as I’d wanted. (Not an illness issue, just the cats were not fond of the flavor or texture). She still does not eat “meat chunks” and will only eat ‘pate’ (but is slowly getting better about larger and tougher sized bits). My grinder does not produce “pate”… Maybe I need to use a blender? Advice on making pate appreciated. When your cat is near death, it is not a pleasant time to be in a long exploration phase of “what works and what doesn’t”. I was there, and do not recommend it. At this point, I know that raw “worked” and various home cooked was a PITA and I’ve still not got it working well enough. (Thus my asking for any home made cat food recipes that work). I really would like a better ‘known to work’ solution than sashimi. I’ve also prepared my own sashimi and sushi at home for my family and myself to enjoy. Yes, I read up on how to inspect the fish… and buy it from a good source. There are ways to protect against flukes and worms that do not include cooking. 1) Inspection. Slice thinly and look closely at the fish. It ought not to show any wrigglers in it. That is why your sushi chef sometimes seems a bit slow and stares at each slice for a second. This is hard to do, but for any raw never frozen fish sashimi is an essential step. It takes a bit of skill to get good at it. The good news is that the common fish parasites don’t kill you. They just make you, er, ‘lose your lunch’ one way or the other. I’d take a bad day over a dead cat any time. 2) Much easier, even though true sushi fanatics resent the flavor and texture change: Freeze the fish first. This is required for all salmon used in sushi in California, IIRC. So all the chicken and fish my cats get has gone through the freezer. Quick, easy, effective. The ice crystals in the freezing process bust up the worms and fluke type parasites. I think 24 hours in enough time, but I usually let it go a week just because I buy ahead. IIRC, this does not work as well on trichonosis. Checks Wiki page… takes 20 days at 5F or 4 days at -4F (-20C) for pork products per the wiki page. I just would never feed pork (or any wild warm blooded carnivore / omnivore ) meat raw to anything, even if it had been frozen. Per bacteria: Cats are rather tolerant of them compared to people. They did evolve eating raw birds, fish, and rodents. Still, it doesn’t hurt to rinse your chicken or fish well prior to slicing off bits of it. And if it has any “off” odor, that is bacteria. Cook those bits or don’t feed them. Fresher is better. Hmmm… you got me thinking…. I bet my European style cook books will have pate techniques in them. I’m off to explore my book shelf for a bit. Well, Joy of Cooking as a pate recipe that is only livers. My cats were ‘un fond’ of the canned foods with liver in them (but that was in an early stage of identifying ‘the issue’ and it might be that those foods had ‘the bad thing’ in them and it was not the liver they were rejecting, but ‘the bad thing’. Some on line sources also show how to make pate. The common thread seems to be chopped or ground meat with an added ‘liquid’ that can include raw eggs (that set nicely on cooking) run through a blender or food processor. Occasionally various ‘grain based’ fillers are added (probably to absorb excess moisture in cooking). First one is 1.5 lbs chicken livers. 3 eggs. 1/4 cup cream (leaving out the brandy, the cook will have to drink that ;-) and 1/4 cup flour. 2 tsp salt (leaving out spices). Blend and bake (vastly simplified…). Second one is 1 lb veal, 1.5 lbs chicken livers, 1/4 lb salt pork 4 eggs, 1/2 cup cream, ground three times (!) (leaving out spices, booze, and vegetables). baked. So we have one egg per 1/2 lb of liver and one egg per pound of muscle meat. 2 oz of whipping cream per 24 oz of livers or about 1/12 or 8%. That rises to about 4 oz per 40 oz of mixed meat and liver in the second recipe or 10%. And a similar amount of flour or vegetable ‘absorbent’. Looks like 4 eggs to 1 lb of chicken livers with 2 cups cream and 2 cups consomme. Hmmm. A bit long on liquids and short on meat for a cat. I think I’ll skip this one..
Well, the proposed “pate” recipe worked “OK”, but when canned the egg or milk (or both) left it with a bit of an “overcooked” smell with a touch of sulphur. On standing a week or two, this diminishes. A followup batch that was just minced chicken with 10 percent rice worked better as a canned product. I have also found that there is a brand of cat food sold at Whole Foods that claims on the label “No Byproducts”. So far, it has worked fine (though the cats were “unimpressed” with the Turkey and brown rice formula and seem to like the Chicken and regular rice better). Given this commercial product, I’m dropping further “do it yourself” experiments. Also, using the idea of “West Coast its Asian Fish” that have the problem, I’ve done a wide feeding of any Fancy Feast that specifically does not list any fish on the label. So far, they all have worked (though my cats are a bit less fond of the beef and liver ;-) I also fed some more Trout (on the theory that it would be USA origin byproducts, thus dodging the formadehyde fish food binder approved in Asia). That, too, seemed to be tolerated OK (though I only fed a couple of cans). FWIW, the Fancy Feast often lists a Soy Protein supplement instead of fish protein powder or similar things. I suspect that the use of Soy Protein has kept the “mystery meal” out. No idea how cats do with soy, but they seem to like it so far. If the test of a thesis is predictive power, this thesis has had great predictive power. OK, I believe formaldehyde has caused my 16 year old to be diagnosed with MS. She has a cat that lives only upstairs near her bedroom because we have a new puppy downstairs. I have been wondering if the urine in the cat’s litterbox can be sending out fumes of formaldehyde? My daughter stopped talking at 18 mos. old after receiving her DTaP shop which is 50% formaldehyde. How can formaldehyde be legal in anything? Japan has the lowest incidence of MS and they don’t allow formaldehyde in the things we do. Any thoughts? I don’t see how formaldehyde would be in cat urine (at least not in amounts enough to matter). More likely would be something like plasmodium that is commonly picked up from cats. Per formaldehyde in things like vaccinations, I’m not well informed enough to comment. While formaldehyde is “bad stuff” ( I react to it in small amounts in the air in ‘sick building syndrome’ from new carpet or pressboard ) it is generally “dose dependent” and the amount in a shot is very very small. Japan also consumes something like 1/2 of total fish production on the planet, so have very high omega-3 fatty acid intake. Comparing one nation to another will have dozens such things. Picking one as causal would require a lot of proof. For the diphtheria tetanus pertussis shot to be causal I’d expect more likely an extreme reaction to the bug bits in it. FWIW a friend is in a wheelchair for life due to polio vaccine (a known, if rare, side effect) so some folks DO have bad reactions to shots. The community medicine decision is that when those that are hurt are a small enough number; and those who are helped are a large one, it is worth doing anyway. So look up the known, even if rare, side effects and see if that’s on the list or not. If worried about fumes (of any sort), increase the ventilation. I had “sick building syndrome” in a 100,000 sq ft building and “fixed it” by opening the air dampers on the ventilation and went up to about 20%+ fresh air. In the home, you can just open a window.